Troy Town', 1498-1515, (1843). Scene showing the rebuilding of the city by its legendary king, Priam, after it had been sacked by Hercules. 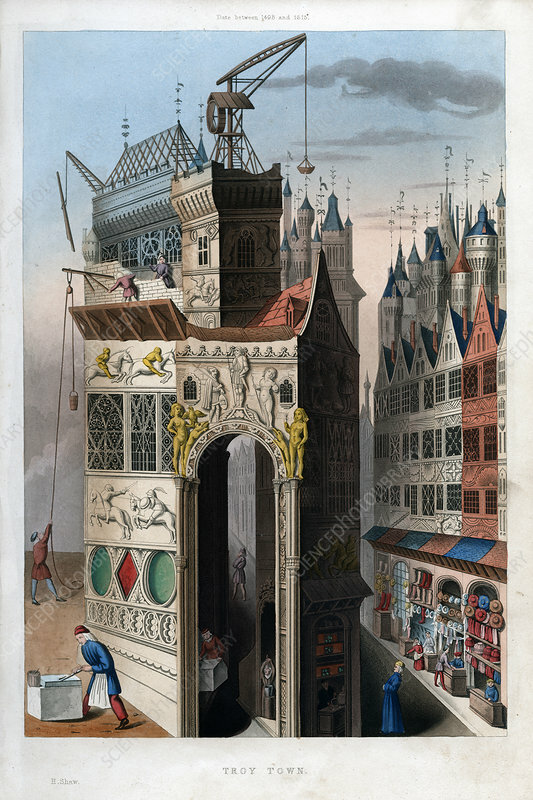 Beneath the right-hand side of gate is a chemist or apothecary weighing out his drugs, while another pounds them in a mortar. Illustration from Dresses and Decorations of the Middle Ages from the Seventh to the Seventeenth Centuries, by Henry Shaw, (London, 1843). Artist: Henry Shaw.